Hover over the country name listed below to see its location. Click on the map markers to see the analysis results. 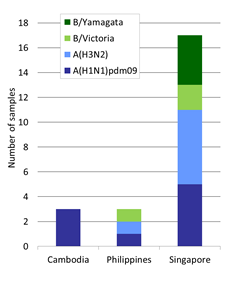 Results show the type/subtypes/lineages of viruses received by the Centre from laboratories in each country. 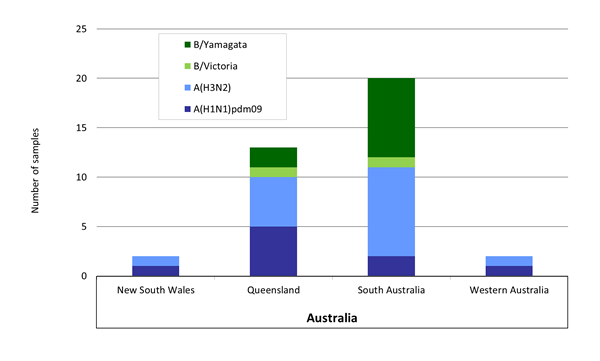 Data are shown for samples collected during the month indicated for which the type/subtype have been determined by antigenic and/or genetic analysis at the Centre as of 6 March 2018. 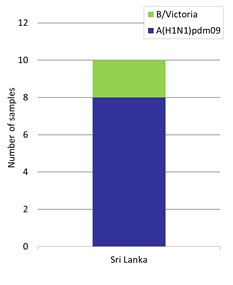 Note: Subtyping is based on analysis of the HA and in some cases is confirmed by further analysis of NA. 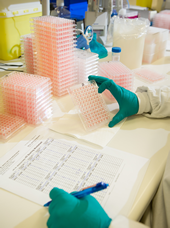 Type/subtypes/lineages of viruses collected during December 2017 and sent to the Centre from laboratories in the indicated countries/states for which the type/subtype have been determined at the Centre as of 6 March 2018.